There is a wide variety of symptoms that could indicate hearing loss in an infant. However, there are a few key indicators that you should look out for. Since babies can’t talk, we can’t ask them what’s wrong with their health. For the most part we can discern what the issue is; a fever, a chill, pink eye or an upset stomach. But hearing loss is a little harder to recognize, because the newborn isn’t discomforted. They don’t even realize something is wrong if they’re not experiencing pain. Read on to find out if your baby is suffering from a hearing impairment. An infant’s hearing loss can be the result of a number of causes. Some babies are simply born with hearing impairments, although this is rare. Auditory screenings are mandatory at birth in Maryland, so it’s unlikely this would go unnoticed. But hearing loss can vary in severity, and can be permanent or temporary, depending on the cause. It can also happen in one or both ears. Infants can be at risk for hearing loss if they have a family history of it, or if they were born with a low birth weight. Damages such as tumors, genetic disorders or infections that happen within the inner ear can be serious causes for hearing loss. However, it could also be something as simple as a buildup of wax or fluid that can be removed by a professional. There is a wide variety of symptoms that could indicate hearing loss in an infant. However, there are a few key indicators that you should look out for. If a baby does not respond at all to familiar voices, it’s possible their hearing is damaged. Babies should also startle or get upset due to large noises, and a lack of response could indicate hearing loss. A hearing impairment could also lead to speech problems. Babies should be able to speak single words when they are 15 months old. If they don’t, you should take them to an audiologist to ensure they aren’t suffering from hearing loss. 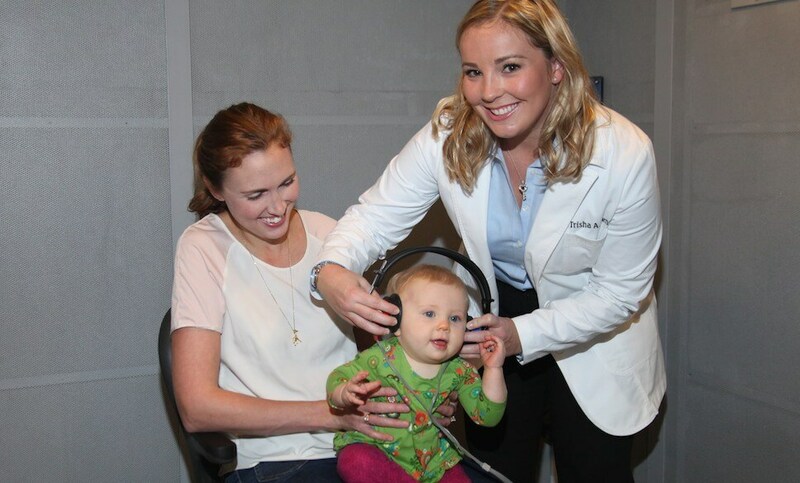 At Bay Area Audiology, we’ll make sure your child is comfortable. We don’t require babies to be asleep when we conduct our hearing evaluations. In addition, we don’t conduct tests that require a response from your baby. This means that we don’t need your child to voice concerns in order to evaluate their hearing. Our process is quick and painless, and will be fully explained to you. Your results will also be explained, and can be sent to your pediatrician within 24 hours. Should you need further attention, we can refer you to professionals we trust. We can also provide your child with a hearing aid, should they need it. If you need a hearing evaluation done, contact Bay Area Audiology today! Our Doctor of Audiology, Dr. Trisha A. Bents Muth, is exceptionally experienced in the art of audiology, and is dedicated to providing the absolute best solutions. Bay Area Audiology has been working to give patients a comfortable environment, with thorough evaluations. We are independently owned, and unbiased when it comes to finding you the care you need. Get help for your tinnitus. You can always come into the office, or contact us in advance to set up an appointment. We also provide updates on our social media websites. You can check out our Facebook, Twitter, Google+, LinkedIn, and Pinterest to keep up with Bay Area Audiology. This entry was posted on Thursday, September 1st, 2016 at 2:08 pm. Both comments and pings are currently closed.